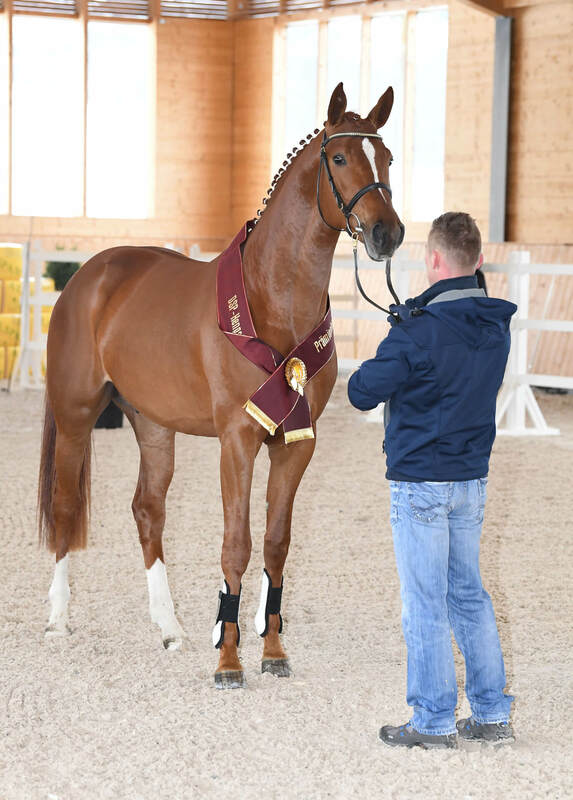 Espléndido is the premium stallion of the DSP stallion grading in Munich 2018. Here is a young jumping stallion of extra class. 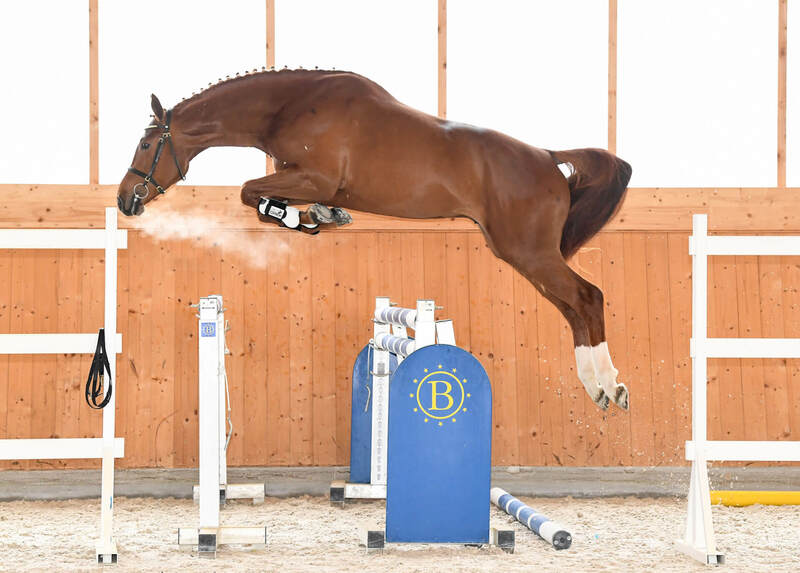 With characteristic and correct conformation and athletic and sporty looks, this up-and-coming producer has plenty of scope, impressive jump-off and an ideal leg and back technique at the jump. For this jumping the jury gave him 9,5. 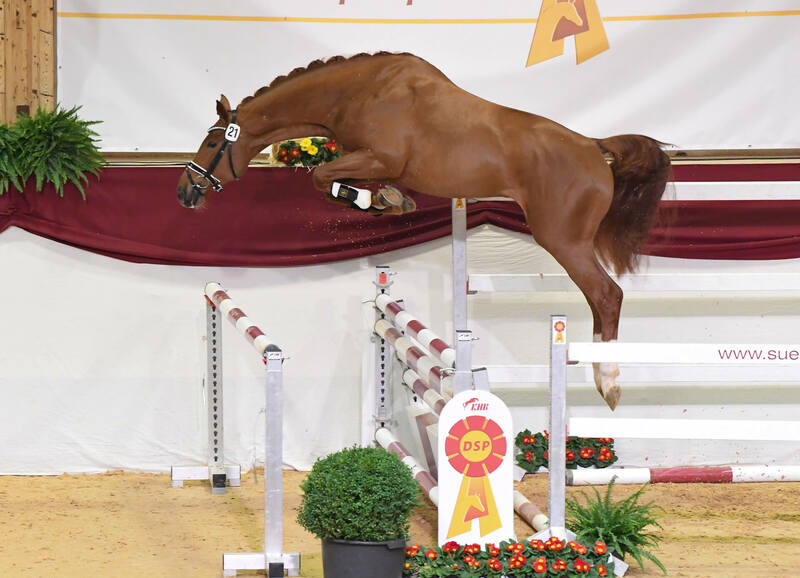 Sire Emerald van het Ruytershof is part of the Dutch championship team and has been successful for years with rider Harrie Smolders, competing in World Cup and Nations Cup showjumping events, winning for example at CHIO Aachen 2013 and 2018 World Cup in Bordeaux. Dam Pret-a-porter has herself had success in sport. With Bundeschampion Landor S and legendary North-Rhine Westphalian producer Pilot, the damside also includes sires of international top horses. Granddam Pyrah has two graded sons, Apiro (USA) and River Phoenix (PB Bay.). Espléndido represents the originally Hanoverian mare family 665/Kineda (b. Kingal-Lord Wilibald, etc. ), which prospered most recently especially in Westphalian breeding, leading to 17 graded stallions, among them Baccardi (PB Westf., Bundeschampion), Carte Lor (PB Bay. ), Disco-Boy (PB Westf. ), Donnersberger (PB Rhpfs. ), Estilo (PB MEX), Festival Westfalia (Ldb. Moritzburg), Franz-Joseph (PB Bay. ), Gran Paradiso (PB Bay. ), Maximum Joe (PB NL), Picador, Piloto (PB MEX) and Rendant (Ldb. Warendorf). 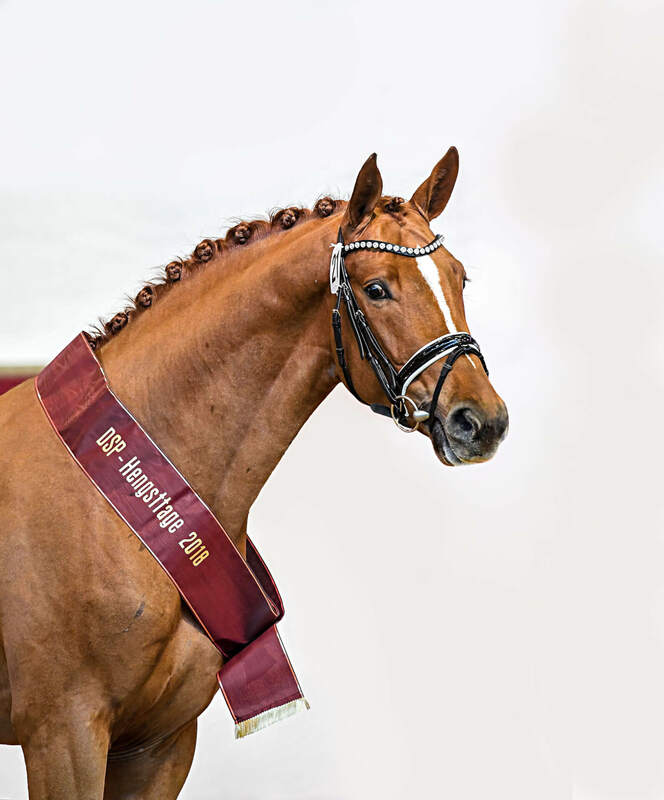 The damline is also represented by other internationally successful sport horses like Sioux 9/ Horst Karsten (Olympic athlete), Matice/Ina Saalbach-Müller and Schiwago 123/Hans-Thorben Rüder.